Anaplastic thyroid cancer is a type of thyroid cancer that is rare and aggressive. 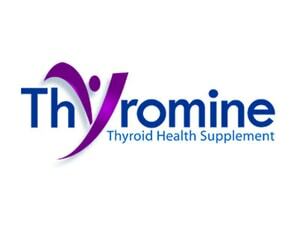 It affects the thyroid gland and most especially its function. 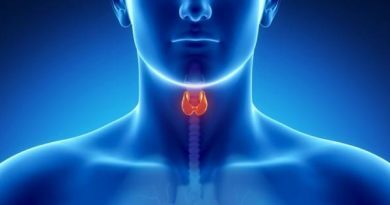 The thyroid gland is a butterfly-shaped gland located on the front of the neck just below the Adam’s apple area. Its function is to regulate metabolism and cellular use of energy. Out of all thyroid cancers reported, anaplastic thyroid cancer only makes up a small percentage ranging from 1 to 5%. Anaplastic thyroid cancer is diagnosed due to a large lump found in the gland. The lump grows rapidly and may eventually infiltrate the trachea making it difficult for one to breathe. Anaplastic thyroid cancer is also known to be a type of thyroid cancer that can quickly metastasize or spread to other parts of the body. Anaplastic thyroid cancer is most common in men over the age of 65 than in women. Anaplastic thyroid cancer symptoms include a mass in the neck or thyroid area that often gets enlarged rapidly, coughing, difficulty in swallowing, coughing up blood, hoarseness or change in the voice, and some difficulty in breathing. Anaplastic thyroid cancer is usually treated with surgery to remove the lump or tumor. There are also times that the anaplastic tumor may become attached to the vital structures within the neck or may infiltrate in the trachea, making it impossible to be removed. When an anaplastic tumor has already infiltrated the trachea or windpipe, a surgery may be needed to insert a tube into the throat to ease breathing. This surgery is called tracheotomy. In some cases, chemotherapy is needed for metastatic disease. However, anaplastic tumors are not responsive to chemotherapy. The prognosis for anaplastic thyroid cancer is poor. What About Women and Thyroid Disease? *Autoimmune diseases run in families and are 5 times more common in women than men. The risk factor for developing thyroid cancer if you had childhood radiation treatments is between 2% and 7% as compared to .004% in the general population. There have been cases of side effects from radiation treatments (not radioactive iodine treatments) reported as long as 45 years after treatment. Most physicians agree that the thyroid gland of these patients should be checked annually. Some physicians rely solely on physical (manual) examination of patients treated as children with radiation. Others prefer to perform scans or ultrasounds for nodules too small to detect manually that might be cancerous. A person treated as a child with radiation can request that their medical records be sent to them by writing the hospital or clinic where they had the treatments. Ask for a record of how much each dose of radiation was as well as how often and over what period of time treatments were given. One of the more psychologically unpleasant and frustrating side effects that can occur with either hyperthyroidism or hypothyroidism is hair loss. There is no way to predict which patients will experience hair loss and which will not. Similarly, there is no way to predict who will be severely affected and who will have only minimal hair loss. Because each person is unique, responses to thyroid disease and treatment will vary. This can be disturbing to patients who have lost a great deal of hair and want to know exactly when this will stop and when their hair will be normal again. Hair loss from thyroid disease is usually reversible with proper treatment of the thyroid condition. Typically hair loss does not immediately stop when the blood work becomes normal. Most people stop losing their hair and begin replacing lost hair a few months after the thyroid hormone levels become normal. In some cases, it can take longer. Stress can contribute to hair loss. Because of the nature of thyroid disease, it can have a direct impact on the psychological well-being of patients, particularly on the coping mechanisms that deal with stress. Unfortunately, as patients become more and more concerned about their hair loss, their stress levels increase, making the situation worse. It is advisable to take caution when considering chemical treatments of the hair-for example, coloring or permanent waves. If at all possible, avoid such treatments until the hair loss has stopped. Cutting the hair shorter, using moisturizing and conditioning hair products, and avoiding back combing are other methods to decrease stress on the hair. The most important things you can do to minimize further hair loss are to faithfully take prescribed thyroid medications and to be calm and patient. Anaplastic thyroid cancer cannot be cured by surgery alone. Most anaplastic thyroid cancer patients opt to completely remove their thyroid gland; however it does not help prolong their lives. The highly advised anaplastic thyroid cancer treatment is radiation therapy combined with chemotherapy. This anaplastic thyroid cancer treatment provides significant benefit. Tracheotomy or a surgery that places a tube into the throat to ease breathing and gastrostomy or a surgery that puts a tube into the stomach to help with eating may also be needed as part of anaplastic thyroid cancer treatment. Some anaplastic thyroid cancer patients also opt to enrol themselves in a clinical trial of new thyroid cancer treatments as an option. Possible complications of anaplastic thyroid cancer include spreading of the anaplastic tumor within the neck and spreading of the cancer to other body tissues and organ. Since the prognosis for anaplastic thyroid cancer is poor, only less than 5% patients survive in a span of 5 years. 10% of patients are alive in the first 3 years. However, in most cases, most patients are not able to survive for more than 6 months and 80% do not survive over a year. 25% of anaplastic thyroid cancer patients already have tracheal infiltration that compromises breathing during the initial diagnosis, while 50% of anaplastic thyroid cancer patients have anaplastic thyroid cancer spread to the lungs by the time they are diagnosed.